This is Today, March 20th!! FREE Ice Cream Cones at Dairy Queen! YAY!!! 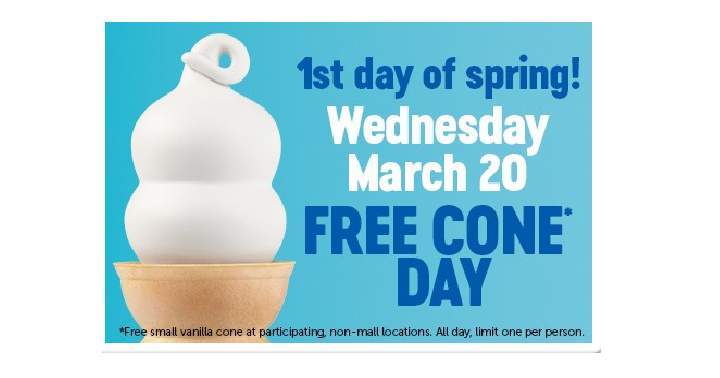 Today only, Wednesday, March 20th, participating Dairy Queen Stores will be giving out FREE small Ice Cream Cones! There is no coupon needed, just head into your local store (mall locations excluded). My kids look forward to this day and I do too! Limit 1 per person.